How would we handle ”insert dispute here” in an anarchic system? Discussions Liberty.meWouldn't landlord just become a state in an anarcho-capitalist society? How would we handle ”insert dispute here” in an anarchic system? 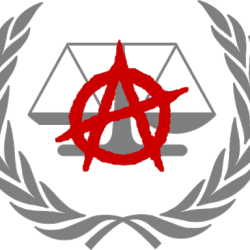 A group for those seeking answers to how specific disputes between individuals would be handled without the involvement of the state. Wouldn't landlord just become a state in an anarcho-capitalist society? If the state was abolished but private property was not then wouldn’t landlords effectively become the state? There are a lot of similarities between a landlord and a state. They both hold territory that they can exclude people from. A proprietor can tell their tenants what to do while they are on their property. Taxes are similar to rent. Laws are like the rules of a rental contract. A proprietor may defend their property with force. Fundamentally the main difference between a sovereign and a proprietor is that no one may interfere within the sovereign’s territory, such that resolution of disputes between an occupant of a sovereign’s territory and the sovereign are decided by the sovereign and can’t be interfered with by others. While disputes between proprietors and occupants of their land may be arbitrated by a third party. For more see, The Difference Between a Proprietor and a Sovereign. Its a game where you’re a state installed landlord and your job is to spy on tenants and report them to the authorities if they’re planning anything subversive. Not exactly the situation you’re talking about, but interesting none the less. That looks like an interesting but very dark game. Thanks for sharing. You have a good point. One could claim that a social democracy will eventually lead to Nazi Germany. In theory, it can happen and historically is has already happened. However, probably not all social democracies will leade to a Nazi Germany like scenario. As of now the HOA (Home Owners Association) is replacing failed city government. I am extremely fortunate to live in a “subdivision” without an HOA, but few people in this area have that choice. The Government requires that all new subdivisions have an HOA. The Government has stopped doing any street maintenance, snow plowing, or maintenance on the parks that they require be within a subdivision. The city Government has failed to do what it promised the people so their solution is a lot of little governments, doing and acting the same as the failed Government they are supplementing. It has been said that HOA’s are different from Government we are familiar with because one has a choice to buy housing where the is no HOA. Well it is quickly becoming impossible to buy a home where there is no HOA, that choice is being taken away. There are HOA’s with employee’s making large salaries, payed by tax dollars (HOA fees), to run the HOA. There are companies charging exorbitant fee’s for things like plowing snow because they are contracting with a government and being payed with tax dollars (HOA fees) and those begin taxed have no choice. This is a compounding problem that makes it more and more difficult for individuals to have the financial means to be self sufficient. The Government does not let up on taxing just because they have stopped doing what was expected they would do with the taxes they collect. Then comes the new supplementary government (HOA) taxing the people again and squandering the money because it is easy come easy go. The argument for HOA’s is to maintain property values. So individual freedom then becomes secondary to the wealth of those using real estate as an investment or income source. This is an interesting problem and seems like a perfect opportunity for testing some option other than more government. The Government requires that all new subdivisions have an HOA. The government likely imposes many requirements on what the HOAs do as well. Making you have to still leave the jurisdiction of the government to avoid those things. Yes…I tend to find it difficult to think of the mythical world where the state no longer exists and everyone has forgotten the bad habits learned while living with the state. What is a government other than a group of people dictating how others live for the benefit of he who has the most. At this point the abolition of HOA’s is as likely as the abolition of the state. The landlord knows that government is his/her best bet as far a protecting their wealth. HOA’s were not originally a government creation. They were a creation of developers (landloards). It is convenient for failing city and county Governments to pass their failures onto another governing body so the HOA’s have become a government mandated scapegoat. The problem runs so much deeper than the “state”. How did we end up with what we see as Government today if not for a handful of wealthy self serving landloards? Yet if government was not requiring all new subdivisions to have an HOA, and likely further requiring specific HOA policies. You would likely have more options, relieving some of the problems you are concerned about. If an HOA owned everything in the development including the streets it might be able to permit whatever it wants on it’s own property. If many people value these freedoms there might be a market for this type of HOA. I know many people that choose to live in unincorporated areas without an HOA so aren’t hounded by busybodies. So it is possible that there is a market for this kind of HOA.